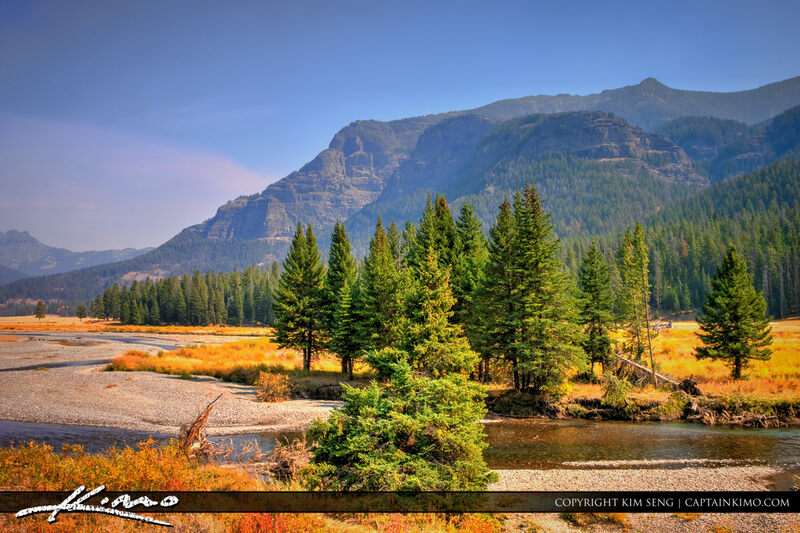 Along a river at Yellowstone National Park with mountains in the background and a pine forest landscape. Three exposure HDR photograph created in Photomatix. 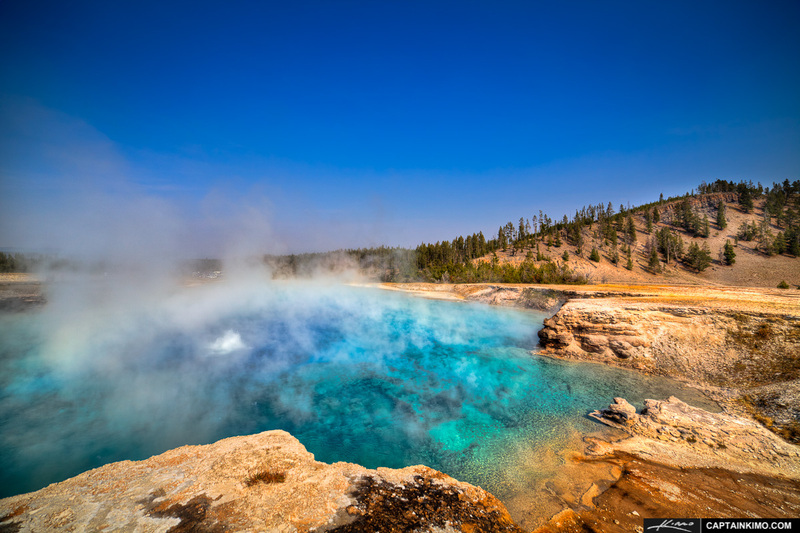 HDR image of a crystal-clear blue Geyser at Yellowstone national park. Three exposure HDR image processed in Photomatix Pro. 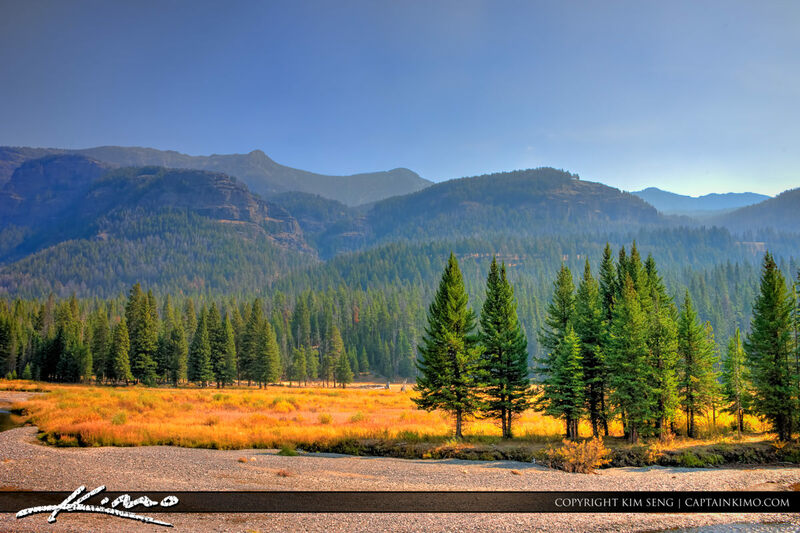 HDR image taken from Yellowstone National Park along a river at a pine forest with mountains in the background. HDR photograph created using Photomatix. 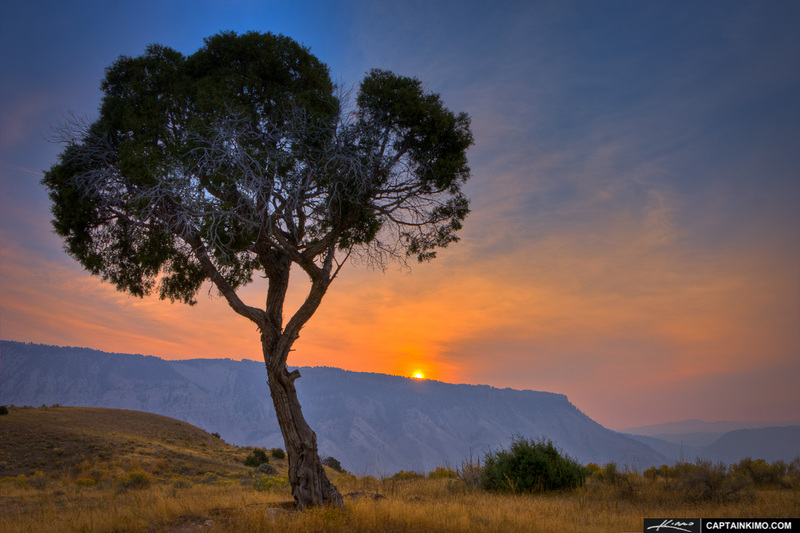 Sunset from Yellowstone National Park at the blue Geyser in Wyoming. We only managed to get a couple of good sunsets while doing a trip with friends to the Mid-west. 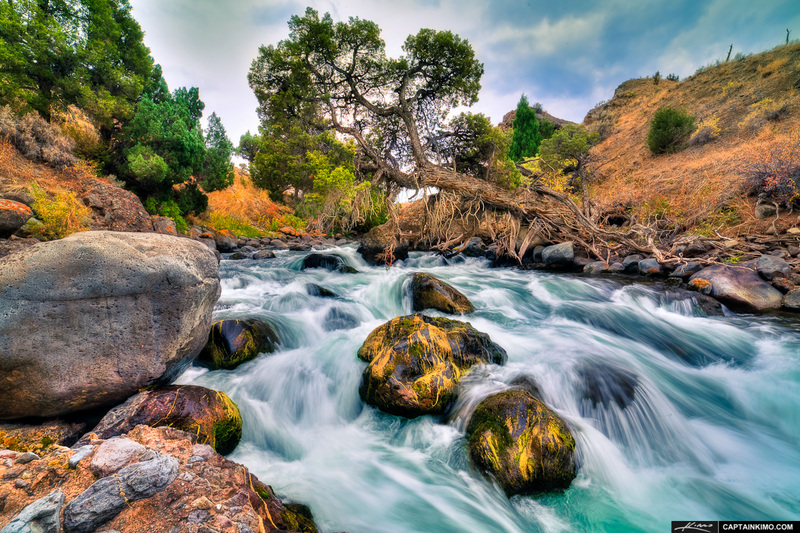 HDR photography image from Yellowstone National Park by a waterfall at the river. Three exposure image tone mapped in Photomatix Pro HDR Software. 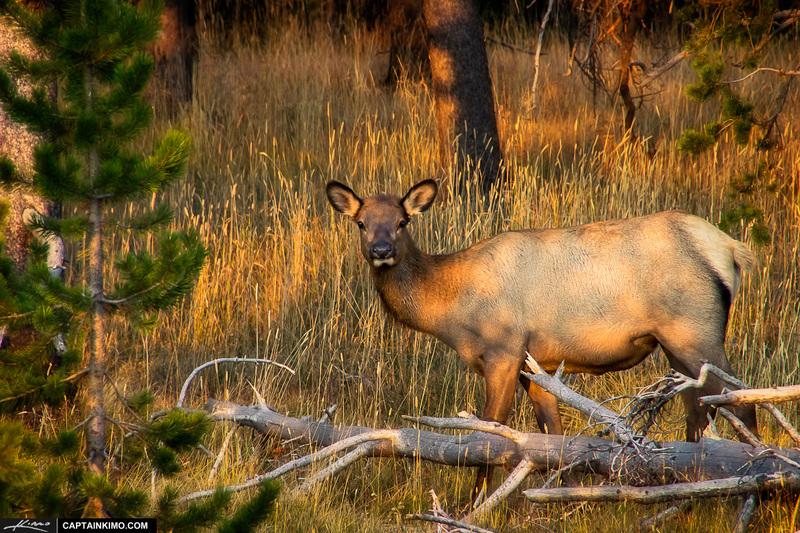 Found a Female Elk grazing in the woods while we were at Yellowstone Lake at Yellowstone National Park. 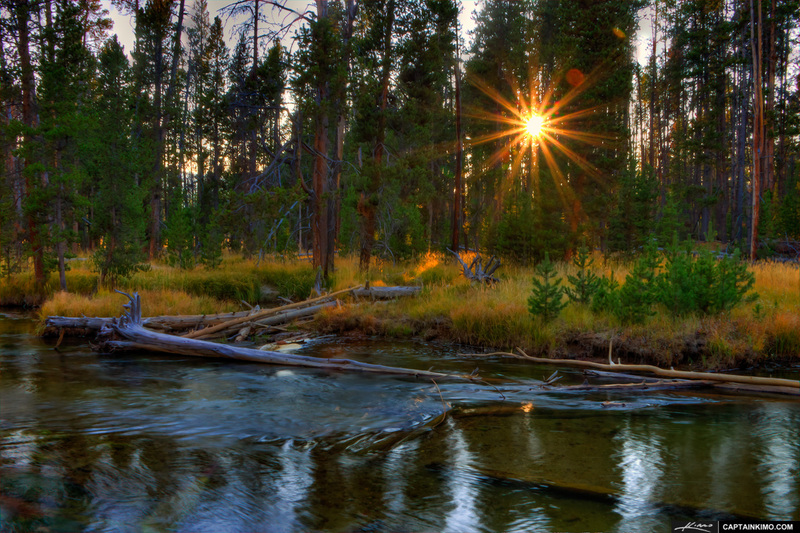 HDR Panorama from Norris Geyser Basin in Yellowstone National Park. Image stitched together in Photoshop to create panorama then processed in Photomatix for color. Single exposure tone mapped image processed in Photomatix Pro of a Coyote from Yellowstone National Park on the hunt for chipmunk. 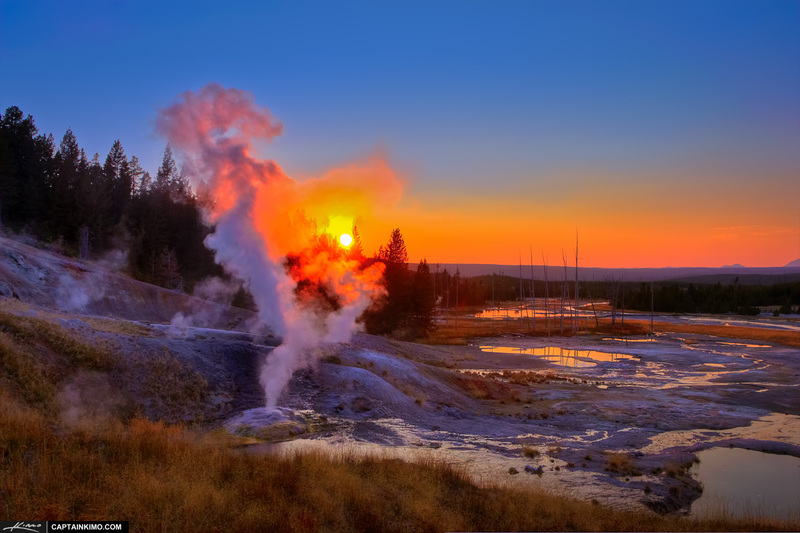 HDR photography image from Mammoth Hot Spring in Yellowstone National Park during sunrise over the mountain range. High dynamic range photo merged & tone mapped using Photomatix HDR software. Here’s a photo of Excelsior Geyser from the Midway Basin in Yellowstone National Park. 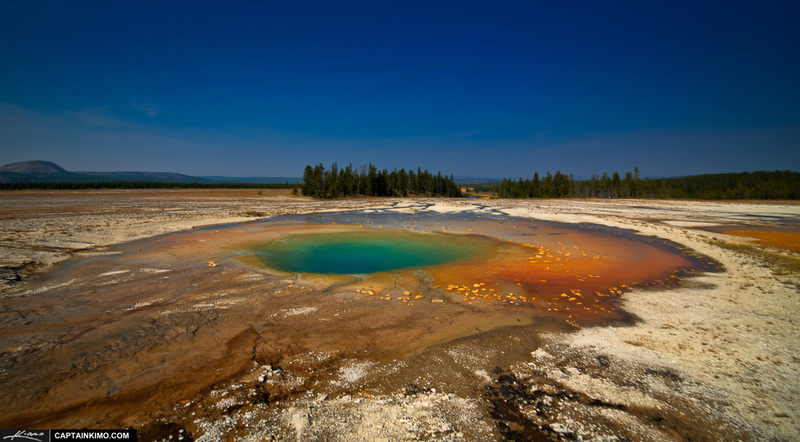 This is the same place that you’ll find the Grand Prismatic Geyser, one of the most popular geyser in Yellowstone. 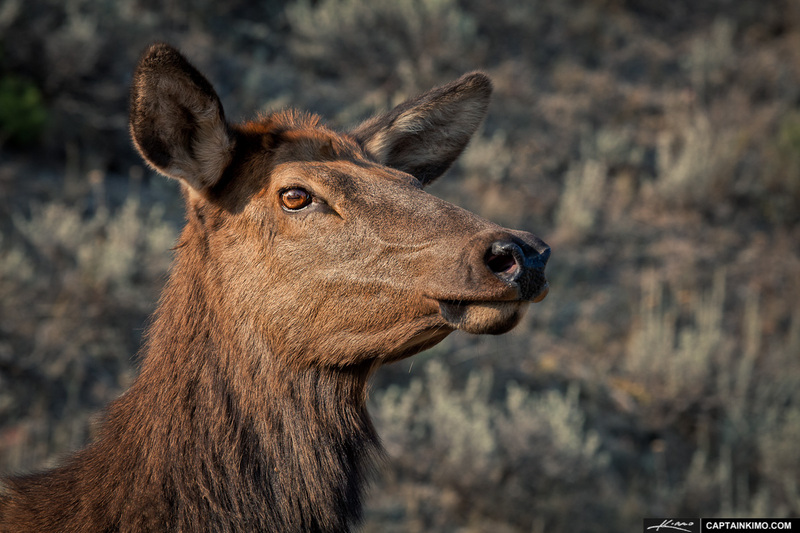 Here’s a really cool up close head shot of a female elk taken at Mammoth Hot Springs in Yellowstone National Park, Wyoming. 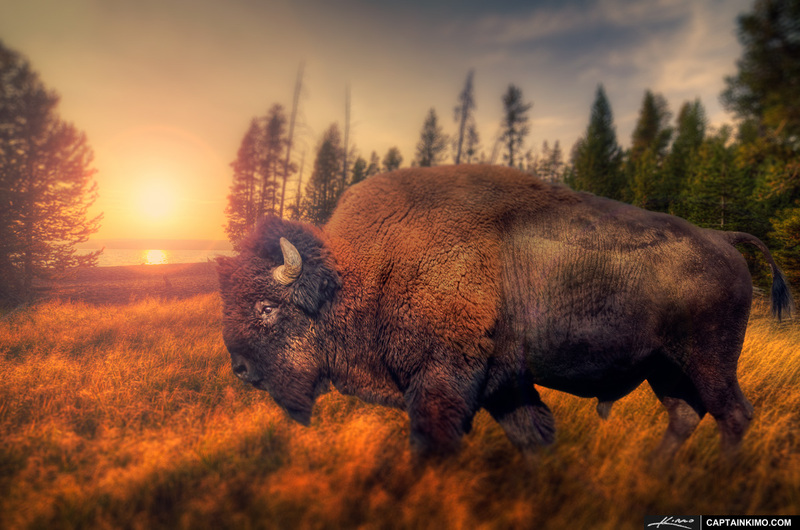 Photo composite of a Bison from Yellowstone National Park. Image processed in Photoshop with the use of Topaz Adjust, Topaz Lens Affect and Topaz Clean. 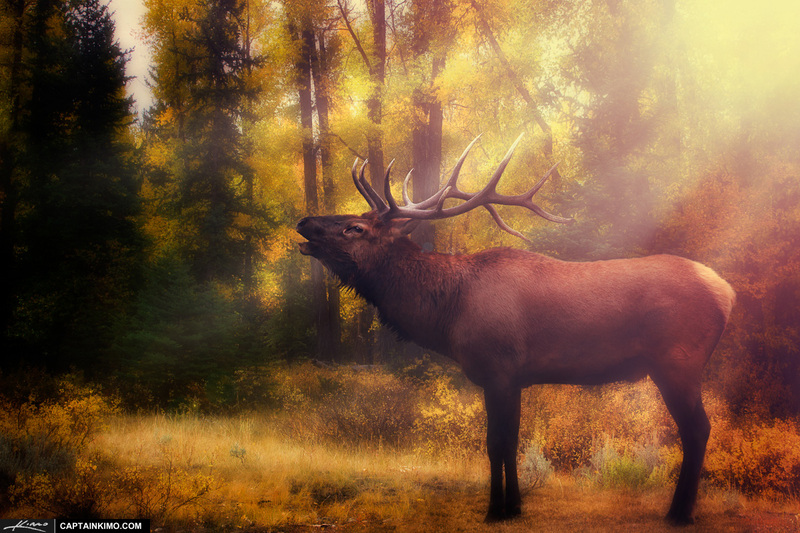 Photo composite of a Six-point Bull Elk shot from Yellowstone National Park and a background that was captured at the Grand Tetons National Park. Image processed in Photoshop using Topaz Plugins. 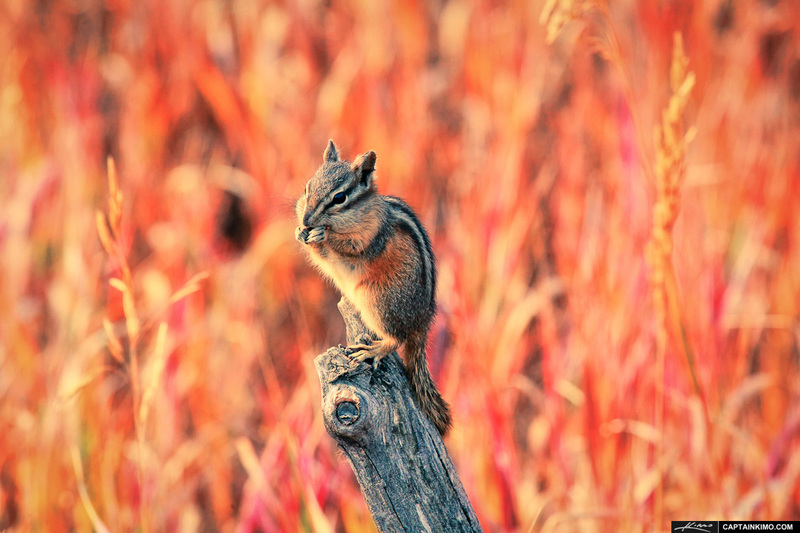 Another chipmunk from Yellowstone National Park, in Wyoming. This is a single exposure tone mapped image processed using Photomatix Pro. 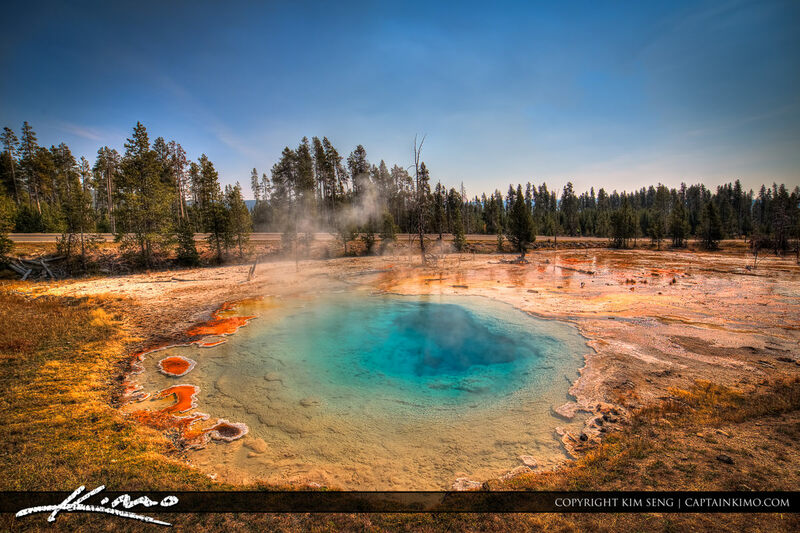 Three exposure HDR image of a Hot Spring from Yellowstone National Park, processed in Photomatix Pro for color and contrast. 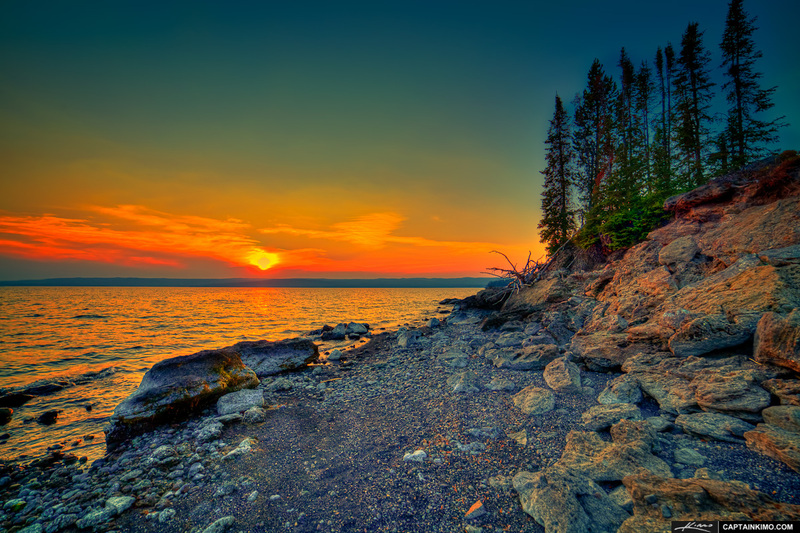 HDR photography image from Yellowstone Lake at Yellowstone National Park, Wyoming. High dynamic range photo merged & tone mapped using Photomatix HDR software and enhanced using Topaz Plugins. 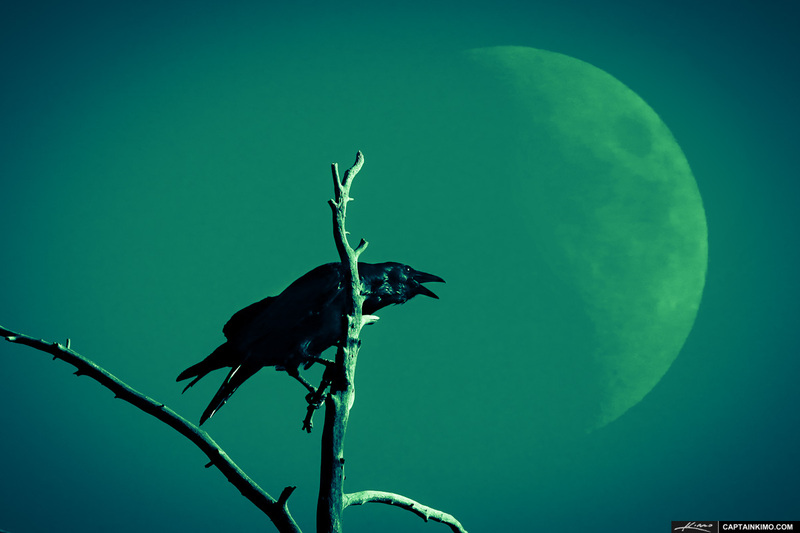 Large Black Raven Crow from Yellowstone National Park perched on a dead branch with the moon rising. Photo is a single exposure HDR image processed in Photomatix Pro. 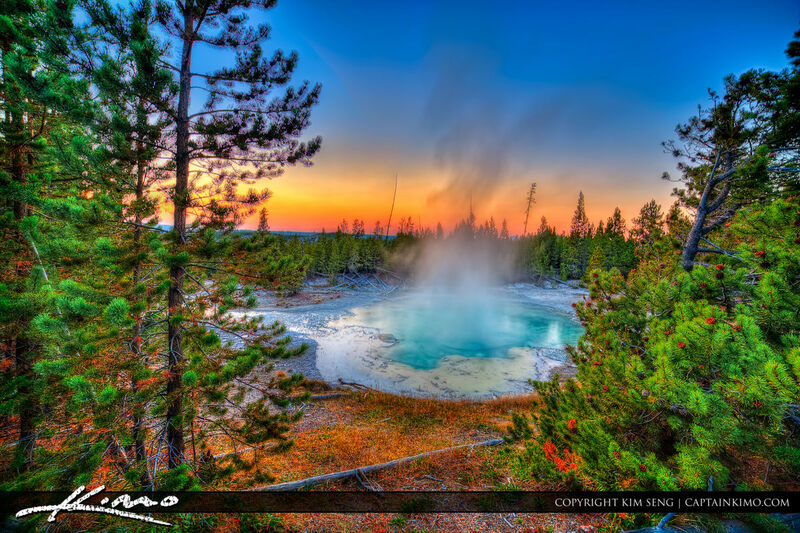 HDR photography from Yellowstone National Park at the Norris Geyser Basin during Sunset in Wyoming. High dynamic range photo merged & tone mapped using Photomatix HDR software. 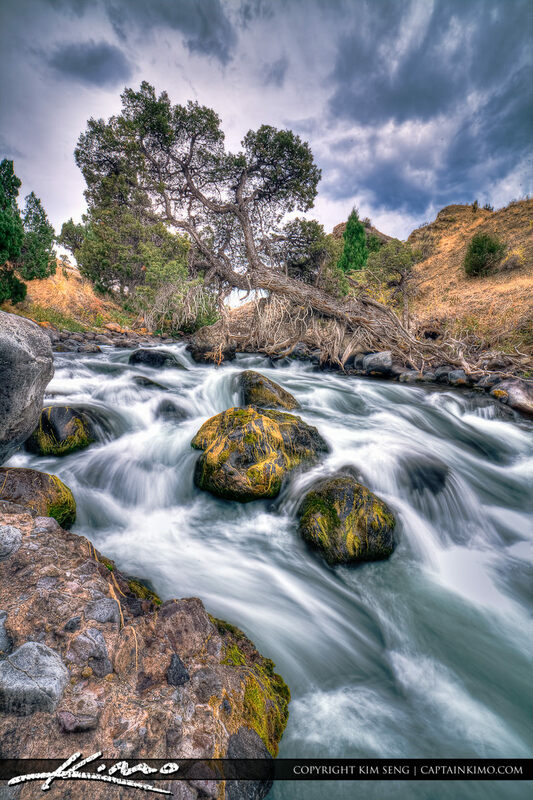 HDR photography image from Yellowstone National Park, Wyoming. High dynamic range photo merged & tone mapped using Photomatix HDR software and enhanced using Topaz Plugins. 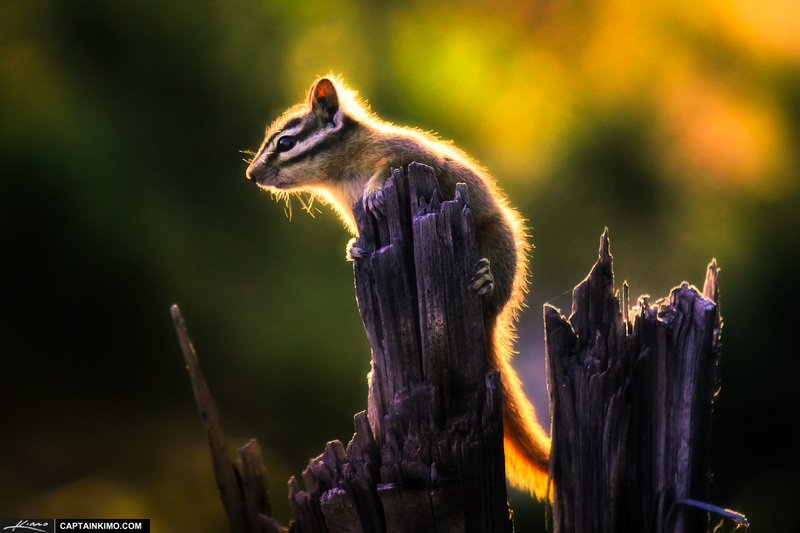 Single exposure of a Chipmunk from Blacktail Plateau Drive in Yellowstone National Park. Dynamic range photo processed using Photomatix HDR software and enhanced using Topaz Plugins. Here’s the start of my landscapes from Yellowstone National Park in Wyoming. High dynamic range photo merged & tone mapped using Photomatix HDR software and enhanced using Topaz Plugins.